India Hartley has embarked on an acting tour of the South. She is barely into her 2nd evening's performance at the Southern Palace Theater in Savannah, Georgia when things go terribly wrong. She finds herself in jail accused of killing her co-star. A benefactor hires Philip Sinclair, the best lawyer in town, to defend her. To keep India from being mobbed in town, Philip convinces the judge to let him take her to Indigo Point until her trial date. India is delighted with the island and finds herself drawn to Philip, but a mysterious room that appears to be a shrine of some sort and troubling clues seem to point to Philip's past and may be the key to India's freedom. I would recommend NOT reading the back info on the book as I think it gives too much of the story away before you get to it in the book. I found it interesting (and somewhat frustrating) how the legal system worked in the 1870's. 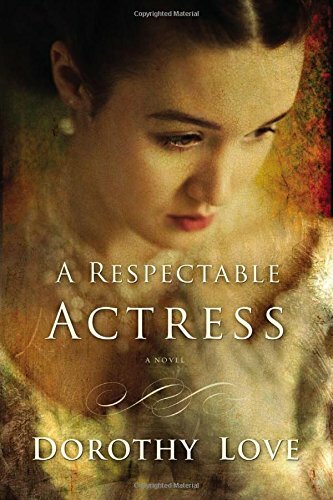 I liked the main characters and felt pulled into their lives. The book was well written and I enjoyed reading it. It has elements of suspense and romance. Although it is listed as "Religious & Inspirational", there really isn't any Christian element to it. There is a mention of "Fate" and another of ""Providence" and India goes to church once, but the characters don't look to God for guidance or direction. I received a free copy of this book from the publisher in order to give my honest review. All thoughts and opinions are my own and I received no other compensation. 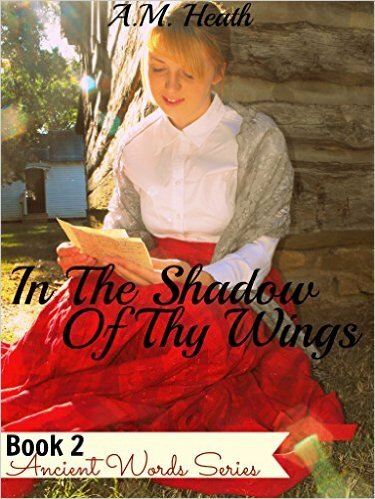 "In the Shadow of Thy Wings" by A.M. Heath is the second book in the Ancient Words Series. It picks up where "Where Can I Flee" ends and should be read in order or it won't really make sense. This book follows Frank Harper, Sally Chandler, Claire Harper, Olen Harper, and Ralph Williams. There are some letters between the characters, but not as many as are included in the first book. The romance that I wished for in the first book was finally brought out in this book. I enjoyed watching the romance blossom and grow. The Harpers and Chandlers feel like friends, so I wept with them and rejoiced with them in turn. There were several unexpected twists that were quite surprising to me. I look forward to reading the next book in the series to find out how Frank Harper, George Chandler, and Ralph Williams fare after the war is ended. A.M. Heath is participating in several giveaways and Facebook parties in conjunction with the release of "In the Shadow of Thy Wings". I received a free copy of this book in order to review it. I got no other compensation and all thoughts and opinions are my own. Darci Tucker was just going back to her office to get the cell phone she'd forgotten when her life started spiraling out of control. Her only hope to get it back under control is co-worker Conner Stevenson who is trying to find answers about his sister's sudden disappearance. Neither of them is in a position for a relationship, so why do they want so much more as Christmas approaches? 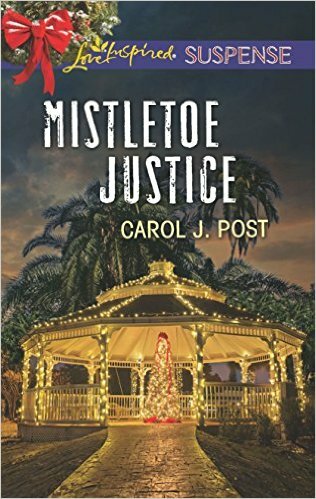 "Mistletoe Justice" by Carol Post brings you back to Cedar Key. I was happy to read Darci's and little Jayden's story. It is best to read the books in order to get to know the characters better, but you could read this story alone. It was fun to see the characters we got to know and love from the other Cedar Key books. I'm also happy to see that there will be two more books to come. There were many twists and turns in the story that kept you guessing throughout the book as to what was going to happen. I devoured the book wanting to know exactly was going to happen. 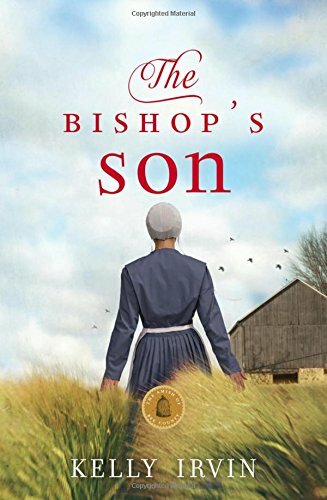 I enjoyed Conner's personal development through the book. So many things are happening in the book and it moves at a fast pace as the danger and suspense pulls you in. I received a free copy of this book from the author in order for me to give an honest review. A positive review was not required and all thoughts and opinions are my own. 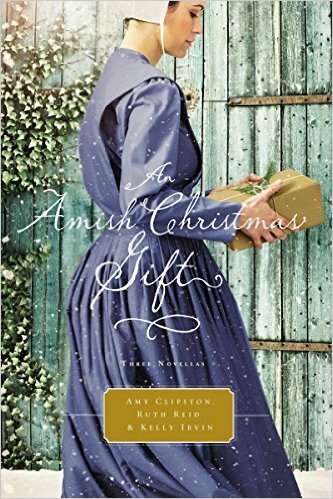 "Naomi's Gift" by Amy Clipston: Caleb Schmucker has been a widower for two years. His eight year old daughter Susie hopes for a Christmas miracle-for her dat to be happy and truly smile. Naomi King has had more than her share of heartbreak and is resigned that she'll never find true love. Can God work a miracle in their lives? Caleb turned to Susie. "Let's find your gown. You can take a bath too." He placed her bag on the bed and rummaged through it. He tried to suppress his smile. "Ya, but you were also cooped up on a smelly train overnight, and we have services tomorrow. Do you want the other kinner in the district to call you the stinky girl from Ohio?" It seems to be missing some sort of remark from Susie about not wanting or needing to take a bath between the two pieces of dialog by Caleb. "Are we heading home now?" Susie asked. "I think I have to help my mamm start supper." "Ya," Caleb said, placing his hand on Susie's shoulder. "I believe your dat may send out a search party if we don't head home soon." Obviously, it can't be Susie who really said that as her mother is dead and her father is the one who said that her dat may send out a search party. Other than the editing errors, I liked the story and the characters. "An Unexpected Joy" by Ruth Reid: Abigail Kemp hasn't had a problem getting rides home from singings, its getting asked a second time that's the problem. She scares them off with her "gift of gab". 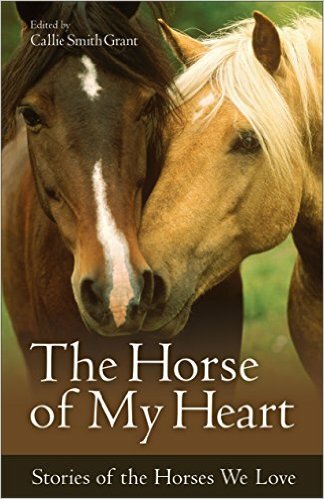 She's resigned herself to the fact that she'll never marry and is saving to buy herself a horse. When Micah Zook is in need of a caregiver for his grandmother, she is eager to take the job. She wouldn't have been his first choice, but he doesn't have any other options. The more time he spends with her, the more he finds himself caring for her. Can they find an unexpected joy this Christmas? 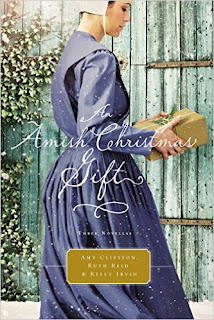 I enjoyed reading this story and liked how Ruth Reid did the dialogue so you got the feel of Abigail's talkativeness. I liked watching Abby and Micah's relationship grow. One thing that jumped out at me was the fact that on the first page of the story, Abigail was 22. Eight pages later, it says she is 23. "A Christmas Visitor" by Kelly Irvin: Frannie Mast's parents think she was getting to close to the Englisch man, Rocky Sanders, so she has been sent from Missouri to stay with her aunt and uncle in Bee County, Texas. When he shows up at her uncle's front door, Frannie is conflicted. She has feelings for him, but knows that she could never leave the faith. Can God turn her Christmas visitor into the best gift ever? This story is best read after reading the novels in the "The Amish of Bee County Novels" series as it has the same characters and a lot of how they act is influenced by the events from the novels. It does give a bit of the story from those novels, so it isn't impossible to read alone, but you'd get more out of it reading it in order. I liked Rocky and his growth through the story. For as much as happens in this novella, I didn't feel like it felt rushed which was nice. I received a free copy of this book from the publisher in order for me to review it. All thoughts and opinions are my own. Holly Morgan broke up with Josh Bowen eight years ago. She thought she had dealt with the heartache of losing him , but when he comes to town to help plan his best friend's wedding, she isn't prepared for the old feelings to come flooding back. Josh has had eight months to prepare himself for seeing Holly again and he only has to make it through a month without telling Holly how he feels. Will he make it? I enjoyed reading "Love in the Details" I felt like I was holding my breath waiting for Holly and Josh to get back together, even though I knew they were going to (since they were the main characters!). The characters grew through the book and spoke of following God. Novellas are fast paced, but nice for reading in a short amount of time. I received a free ecopy of this book from booklookbloggers in exchange for an honest review. A positive review was not required and all thoughts and opinions are my own. "The Perfect Arrangement" by Katie Ganshert is a novella in the 2nd "A Year of Weddings Novella" series. 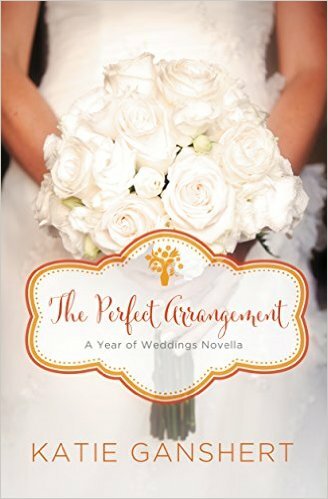 Amelia Woods runs a small town florist, which she loves. She's only had one boyfriend and they broke up four years ago. 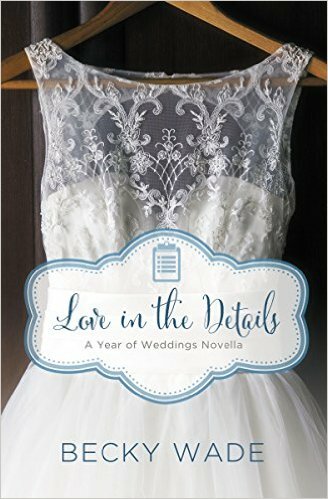 She decides to drive by the church on the day of his wedding to spy on the proceedings. Being distracted, she rear ends another car, owned by handsome wedding guest Nate Gallagher. When Amelia sees something that upsets her about her brother's girlfriend, she sends a frantic email to her best friend, only to accidentally send it to Nate instead. "The Perfect Arrangement" has a definite "You've Got Mail" feel to it with the hero and heroine writing emails to each other (other than the fact that Amelia and Nate had meet, albeit briefly, before they started emailing). The story was cute and fun and quick to read. There wasn't really any spiritual content, but the story was clean with no physical contact other than holding hands and kissing. I haven't read many of the novellas in this year's series, but I'm glad that I was able to read this one. I received a free eBook from booklookbloggers in exchange for my honest review. No other compensation was received and a positive review was not required. All thoughts and opinions are my own. "The Golden Braid" by Melanie Dickerson is a re-telling of the Rapunzel story. It is set in Hagenheim like many of her other stories. "The Golden Braid" actually overlaps her book "The Princess Spy" and you can see some of the action from a different perspective. 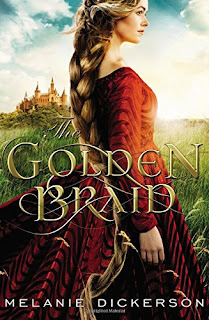 I love Melanie Dickerson's books and "The Golden Braid" lived up to my expectations. There were some classic elements from the Rapunzel story, with new twists to make this story unique. I enjoyed the characters and stayed up way too late to finish the book. The conflict wasn't just the hero and heroine running through the forest to escape the bad guys, which was also nice. I received a free copy of this book from booklookbloggers in order for me to review it. All thoughts and opinions are my own. "Every Girl Gets Confused" by Janice Thompson is the second book in the "A Brides with Style Novel" series. 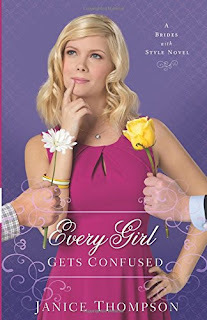 I did not read the first book, but it would be a good idea to read it first as "Every Girl Gets Confused" continues on from the story in the first book. I had a hard time reading this book. It just didn't flow for me. It was told in the first person, which is different than most books, but I've read first person perspective that flowed easier for me. I understand that not everyone likes the same books and this book just wasn't my style. The book is supposedly about Katie Fisher being confused about whether she should stick with her current boyfriend, Brady James, or go back to her ex-boyfriend Casey Lawson. I didn't really get a sense that Katie was really that confused. She sort of wonders about Casey seeming to want to spend time with her, but she always sticks with Brady. The quotes about or by Doris Day at the beginning of the chapters were fun, but along with the titles, didn't seem to go with the chapter's content. Everyone seemed to be arguing about something all the time and there was constant bickering about what denomination church the people went to. It was also strange to me that Katie's family was so tied in with the people from her work with her brothers both dating coworkers. I was given a free copy of this book by the publisher in order for me to review it. All thoughts and opinions are my own. 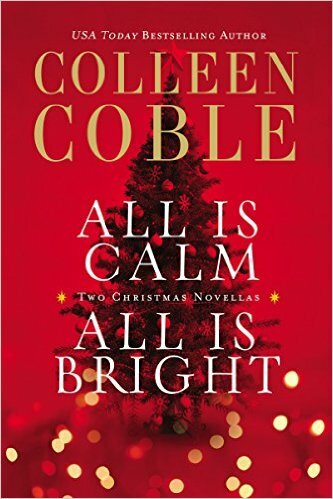 "All is Calm All is Bright" by Colleen Coble contains two Christmas novellas. All is Calm Lauren Everman remembers her time at Bluebird Ranch when she was a foster kid as a haven, so when she needs somewhere to hide, that's where she heads. 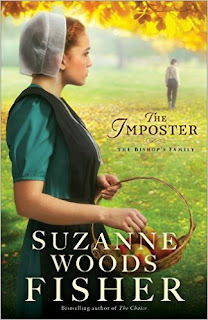 Brendan Waddell is immediately drawn to her, but can also tell she's hiding something. Will they be able to sort things out before her past catches up with her? All is Bright Delilah Carter manages the Tidewater Inn and is planning the wedding for her friend, but when her car is forced off the road, she wonders if someone from her past is trying to harm her. Sheriff Tom Bourne doesn't feel like he's in the same league as Delilah and has kept his feelings for her to himself. He realizes that he needs to do what he can to keep her safe or whomever is trying to hurt her may succeed. the mystery kept me guessing up until the end, but I had guessed what was going on in "All is Bright". I still didn't know all the details of what was going to happen, so the story wasn't totally predictable. It was fun to have a quick and enjoyable book to fill a day. 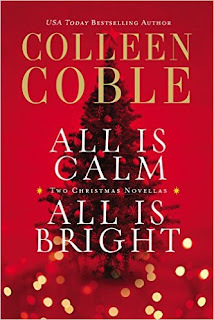 Thomas Nelson and Zondervan are having a contest right now on their Facebook page that you can win a copy of "All is Calm All is Bright" along with Colleen's other Christmas novella book "Silent Night Holy Night"
Miranda Fortner is not feeling very into the Christmas spirit having lost her job and her husband and about to loose her house as well. When her 85 year old neighbor asks her to go on a cross country trek to spread Christmas Joy, she figures she doesn't have anything else better to do and this way she can make sure Joy gets their safely. 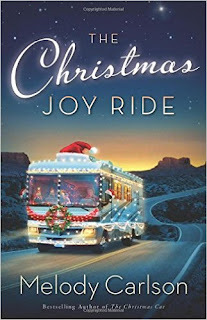 "The Christmas Joy Ride" was a very quick read that puts you in the mood for Christmas. 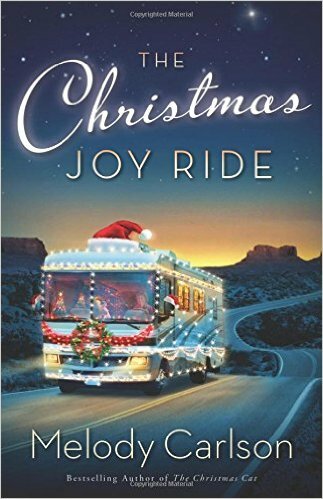 As Joy and Miranda make stops along Route 66 delivering Christmas Joy surprises to 6 contest winners, Miranda finds her joy returning. I got teary eyed as they described the situations of the winners and why Joy wanted to help them out. The ending did seem a bit rushed, but with it being a novella, it isn't always possible to elaborate. In all, I thought it was a fun book. I received a free copy of this book by the publisher in order for me to review it. All thoughts and opinions are my own and a positive review was not required. 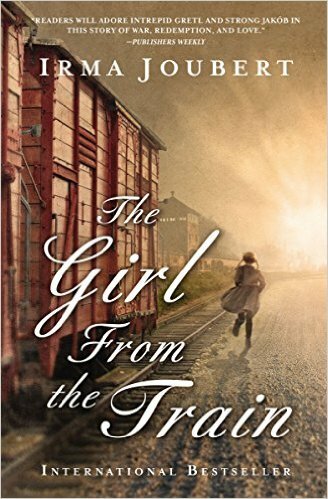 Gretl Schmidt escapes from a train headed to Auschwitz, but at only 6 years old, she is left destitute. Jakob Kowalski brings him to his house, but she isn't able to stay there forever. There are already too many people living there. He brings her to a German orphanage and prays he is doing the right thing for her. With her connections to Poland, the Catholic Church, and her Jewish ancestry, she has a lot to hide. There is little hope that Gretl will see Jakob again, but they both can see the moon at night and she takes comfort in that. 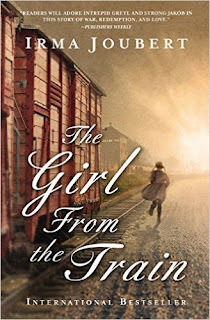 "The Girl from the Train" starts in April 1944 and spans the next 16 years. It is told from both Gretl's and Jakob's experiences. I found it easy to read and stayed up too late on more than one occasion because I didn't want to stop reading. The characters were realistic and fleshed out. It was interesting to learn about the events that were taking place in Poland during and after World War II. I also was not aware of the German orphans that had been relocated to South Africa. I received a free copy of this book for me to review. No other compensation was received and all thoughts and opinions are my own. 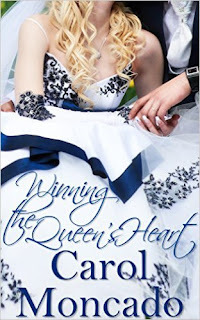 "Winning the Queen's Heart" by Carol Moncado is the second book in the "Brides of Belles Montagnes" series and I would recommend reading the books in order (It would be best to start with the Montevaro Monarchy books as those characters are also carried over into the Brides series, too). Christiana has been the queen of Ravenzario since her parents died when she was five. Her uncle, who rule as her regent, was shown to have less than honest intentions for the country and was put in prison. Now, about 18 months later, she learns that her fiance was not who he claimed to be either. She is left with no groom for her wedding. How will her people survive another blow to their country? Alexander Bayfield has been a part of Queen Christiana's inner circle after bringing her uncle's duplicity to light. When she has no one left to turn to, he steps up to be her protector. Can he win her heart or will events from the past tear them apart? When I loaded this book on my Kindle, I opened it to make sure it had loaded properly. I started reading and didn't want to put it down! It sucked me right in. I loved how protective Alexander was of Christiana and all the things he did for her. Christiana is sweet and loves her people. This book has romance, suspense, and twists I didn't see coming. There are many threads woven through the book and not all of them are finalized, but will carry over through the other books in the series. I can't wait to read the next one and find out what is going to happen next. I was given a copy of this book by the author in order for me to review it. No other compensation was received and a positive review was not required. All thoughts and opinions are my own.